January – March: One of the peak seasons on Kilimanjaro, warm temperatures, a fairly low chance of rain (except toward the end of March), good visibility, high traffic (but less so than in September). April – June: Main rainy season, with decreasing temperatures toward June, avoided by most climbers and even a few tour operators. July: Decreasing rainfall, nights still very cold, increasing crowds. August – October: Peak season on Kili, driest months of the year, good visibility, increasing temperatures, increasing cloud cover toward the end of October, very high traffic (especially in September). November – December: Rainy season, low traffic but crowds returning over Christmas. Based on the travel memoir Kilimanjaro Diaries: Or, How I Spent a Week Dreaming of Toilets, Drinking Crappy Water, and Making Bad Jokes While Having the Time of My Life. 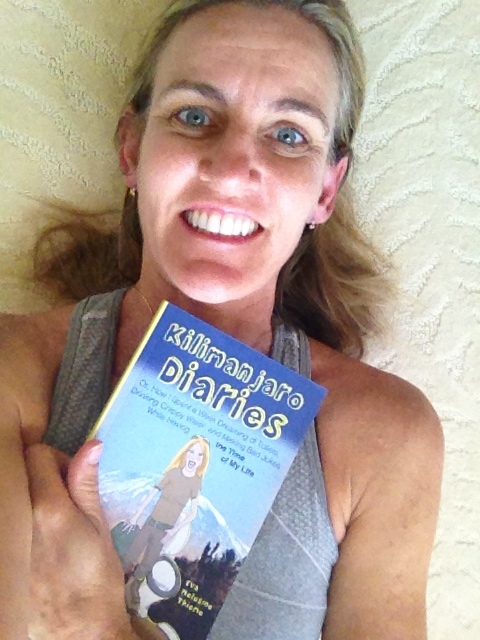 About the Author: Eva Melusine Thieme is the author of Kilimanjaro Diaries as well as the blog Joburg Expat, where she has been chronicling her family’s adventures while living in South Africa. She currently resides in Brentwood, Tennessee, with her husband and four children, where she is working on her next book about a road trip through Namibia with six people in a five-person car. Hi Perle – I’m so glad you enjoyed it and thrilled to hear you will be starting soon on your trip. Wishing you all the best and hope you have a wonderful time. It is special to be able to do the trek with your children. I’d love to hear how it goes.